The Townsend Queen Storage Bed with Dresser, Mirror, and Nightstand with Wireless Charger & USB Port by Austin Group at Great American Home Store in the Memphis, TN, Southaven, MS area. Product availability may vary. Contact us for the most current availability on this product. Sleek, clean lines; a light, neutral tone; and cool, industrial hardware give this contemporary bedroom collection a masculine air. 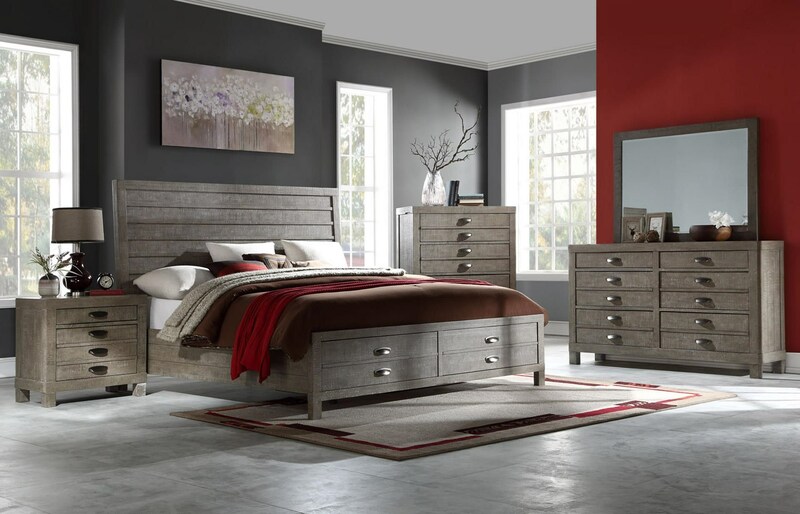 With modern luxuries like hidden drawers for valuables, wireless charging, and USB ports, the Townsend group perfectly combines modern and classic styles into one beautifully homogeneous bedroom. The Townsend collection is a great option if you are looking for Contemporary furniture in the Memphis, TN, Southaven, MS area. Browse other items in the Townsend collection from Great American Home Store in the Memphis, TN, Southaven, MS area.